Mobile devices technology evolves! So do the capabilities of mobile Apps. Being part of this digital world, there are big chances you have already used a large panel of mobile Apps from games to fully integrated business applications. 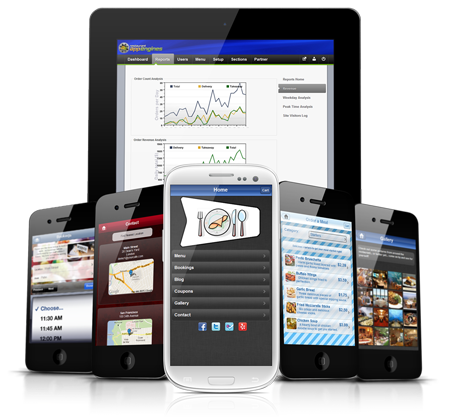 Mobile Apps are today part of every conceivable business. Of course businesses can use DIY tools for App development. They might, however, squander some time and resources if they don’t have enough prior App development experience or training. If you choose to hire an App developer, you will benefit from a unique and experienced professionalism. From designing, developing, testing and launching, the developer will bring your App off to a flying start. Why do you want to build an App for your business? Push notifications is an effective and economical tool that helps a business to provide real-time unique news updates customized to its customers. Your App will keep your customers alerted with information they want! Target your customer with tailor-made promotions and discounts exploiting the statistics of your App. Your customers are the best ambassador of your brand. Your App will give them the opportunity to share your content wherever they are and promote your business. Craft a creative App that optimize users experience and connection with your brand. The App gives your users the opportunity to instantly collaborate by posting content such as photos and comments and hence feel part of the brand. Your brand travels with your customer in his pocket. Your App gives an innovative image of your business which adapts to its customers digital behavior on an everyday basis. Mobile Apps are also a great tool that facilitate employees work within established companies.